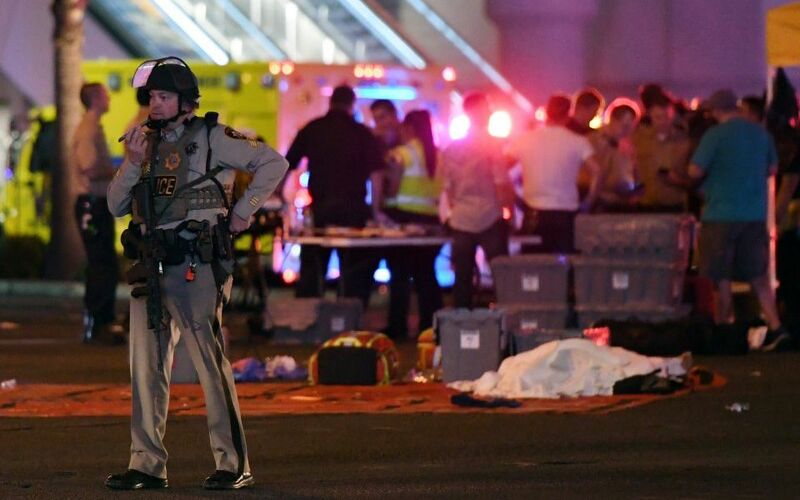 (Calgary) The Islamic Supreme Council of Canada (ISCC) and Muslims Against Terrorism (MAT) are saddened by the loss of more than 58 lives and more than 500 injured people due to the massacre in Las Vegas yesterday. We are all sad and express our sympathies with the victims and their families. The Las Vegas shooting was nothing but terrorism carried out by a home-grown terrorist whose colour of skin, religion, ethnicity and place of worship cannot be identified due to his non-Muslim nature. It is sad to see the deliberate and obvious hypocrisy of the law-enforcement agencies, governments and the media. If a tragic incident is carried out by a person who calls himself Muslim and uses religion as a scapegoat for his/her crimes is always identified as terrorist but if similar tragedy or a worse tragedy is carried out by a non-Muslim is identified as lone wolf’s crime. Edmonton tragedy was a terror attack in which a police officer was stabbed and few people were injured. It was declared terrorism but Las Vegas mass shooting in which more than 58 people died and more than 500 injured is just a horrible crime. Why Las Vegas shooting is not declared terrorism? A year ago, a non-Muslim white supremacist killed six Muslim worshippers in Quebec Mosque and law enforcement did not call it terrorism but when a mentally sick person who identified himself with Islam killed a Canadian soldier in Quebec, it was called terrorism. ISCC and MAT request law enforcement agencies, governments and the media to report and investigate such tragedies with honesty and fairness. Due to bias reporting, statements and investigations the entire Muslim community suffers and get backlash from hate mongers. Once again ISCC and MAT stand with the victims of hate regardless of their race, religion, ethnicity, colour of skin or language. “I am asking all Muslims living in America and Canada to donate blood urgently for the injured people. This is our duty as Muslims to save lives”, Imam Syed Soharwardy said in a statement today. May God save all people from all forms of evil. Amen. 78|36|A reward from your Lord, a fitting gift.